WEBINAR SNAPSHOT: Learn how to create a hazardous waste strategy to manage generator status, realize cost savings, and minimize compliance headaches. Every hazardous waste generator wants to avoid the onerous RCRA regulations to the greatest extent possible. Two basic methods for accomplishing this goal are to (1) be sure you have properly characterized your waste as hazardous in the first place; and (2) take advantage of the less burdensome rules for smaller quantity generators, including the new rules for “episodic generators.” By understanding the waste characterization rules and by taking steps to reduce the quantity of hazardous waste generated your organization can meet its goal and reduce costs at the same time. Join us on April 25 for an all-new webinar on how to manage your organization’s hazardous waste generator status, realize cost savings, and minimize compliance headaches. Philip Comella is a Partner in the Litigation Practice Group and Co-Leader of the Environment and Energy Practice Group at Freeborn & Peters LLP. His practice spans both regulatory counseling and environmental-based litigation. With over three decades of experience in environmental law, and a focus on the solid and hazardous waste industry, he regularly counsels owners and operators of landfills, treatment facilities, recycling operations, and waste generators on compliance and permitting matters arising under the environmental laws. He began his legal career by spending seven years as in-house counsel for a major waste management company, where he had responsibility for hazardous and solid waste issues arising across the country. 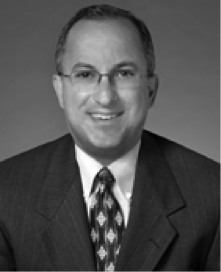 Mr. Comella has wide-ranging and deep experience in solid and hazardous waste matters arising under the Resource Conservation and Recovery Act (RCRA), including citizen suits, enforcement actions, permitting, and compliance. He has represented generators, transporters, and fixed facilities on a myriad of issues arising under this statute and state counterparts, including solid waste, hazardous waste, TENORM (technologically enhanced naturally occurring radioactive materials), used oil, and clean-up standards. He has also worked on numerous PCB matters over the last 30 years, including those involving disposal clean-up requirements, dilution, and coordinated waste approvals. He has worked on multiple facets of the Comprehensive Environmental Compensation and Liability Act (CERCLA or Superfund), including defending enforcement actions, responding to information requests, negotiating ROD amendments, and heading up PRP groups. With a long history in both Superfund and Brownfields, he is experienced in applying clean-up standards across regulatory fields, and negotiating contract conditions and insurance provisions to reduce environmental liability.